Facing a lawsuit from three Texas churches, federal officials have unveiled a new policy to allow religious institutions to receive government funds for damages suffered during natural disasters. Texas churches and other religious institutions damaged by Hurricane Harvey now have a chance to secure federal disaster recovery funds thanks to a new policy unveiled by the Federal Emergency Management Agency this week. The change is being applauded by state leaders and churches that had been pushing for access to the funds. Republican Attorney General Ken Paxton said FEMA's shift "averts the federal government violating the constitutional rights of those who continue to play a vital role in helping Texans get back on their feet after Hurricane Harvey." Paxton and Gov. Greg Abbott, also a Republican, had urged President Donald Trump to make the policy change in September. "Churches and other houses of worship continue to play a vital role in the ongoing recovery effort, and their ability to receive the same assistance available to other nonprofits should never have been in doubt," Abbott said. FEMA announced the policy change Tuesday, saying it will allow religious groups nationwide to qualify for certain disaster recovery funds that were previously available to secular nonprofits. 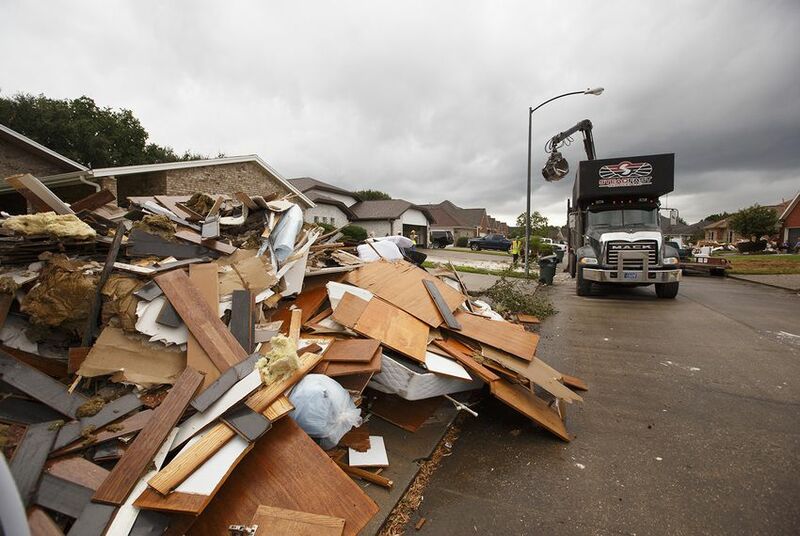 The agency had been facing a lawsuit from three Texas churches, which argued in federal court that they were unconstitutionally denied recovery funds despite sustaining heavy damage during Harvey. Two Florida synagogues filed a similar lawsuit. The Texas churches and their lawyers applauded the decision. Hi-Way Tabernacle, the Harvest Family Church in Cypress and the Rockport First Assembly of God argued that they should qualify for federal funds to help pay for property losses incurred during the storm. The First Assembly of God lost its steeple, roof, and church van, while the other two churches were severely flooded. The Hi-Way Tabernacle also operated as an emergency shelter and aid distribution center in the aftermath of Hurricane Harvey, according to the lawsuit. Represented by the religious liberty firm Becket, the churches said FEMA's ban contradicted a recent U.S. Supreme Court decision that made it easier for religious groups to receive public funds. The new policy applies retroactively, meaning religious organizations may qualify for reimbursement for the damage they took when the storm made landfall in August. Not all religious groups are likely to support the new policy. The Baptist Joint Committee for Religious Liberty, the Anti-Defamation League and the Interfaith Alliance Foundation penned a letter this month opposing the Texas churches’ lawsuit. While the federal government is allowed to reimburse religious groups for the secular emergency services they provide, publicly funding the repair of church buildings is improper, they argued. Americans United for Separation of Church and State and the American Civil Liberties Union joined them in their amicus brief opposing the lawsuit. “Even in the most difficult times, we must adhere to the long-standing principles protected by the First Amendment,” the groups wrote.